Downtown Cairo’s Tahrir Square is now synonymous with protests, tear gas, and tragedy, but for a couple of days in June 2012 it was filled with celebration. Supporters of the Muslim Brotherhood and its newly elected president, Mohamed Morsi, cheered and danced through the square while taxis honked in rhythm. I’d lived in the country for a year and suddenly everyone seemed happier than they had in months. Even some secular Egyptians, suspicious of the Brotherhood, were thrilled to have a leader with no ties to the military or the Mubarak regime. Morsi’s victory suggested that some form of democracy might have, tepidly but undeniably, become the happy ending to a long story of corrupt rule and political upheaval. And then it was over. A year later, Morsi’s presidency flamed out in mass violence and clashes with the country’s military, which is now back in charge and more ruthlessly suppressive of dissent than ever. We now know that the Brotherhood, hemmed in by the economic and infrastructural dominance of the military, never really ruled the country. Right after Morsi left power, the New York Times reported how “gas lines have disappeared, power cuts have stopped and the police have returned to the street.” In a country where conspiracy theories often stretch credulity, this looked like an awfully credible conspiracy. The Brotherhood has returned to the fringe of Egyptian political life; most of their leaders are in prison, and members who are not dead are keeping a low profile. Throughout the sudden rise and fall of the organization’s political fortunes, journalists framed the Muslim Brotherhood with varying degrees of historical and cultural context. Many probably looked to the journalist Lawrence Wright’s magisterial history of Al Qaeda, The Looming Tower, which addresses early Islamism in Egypt. Others interviewed think tank scholars and political scientists like Carrie Wickham and Shadi Hamid. The shortest accounts in the press just mentioned the basic facts of origin: the year 1928, the activist Hassan Al-Banna, and the Suez Canal city of Ismailia. Longer accounts included how the group renounced violence in the 1970s and gained widespread support by providing social services like hospitals and schools, only later attempting to achieve political power as the Mubarak regime quietly let them run for parliament. But I want to call attention to one book that, perhaps because it is not being marketed beyond academic circles, is off the punditry radar. 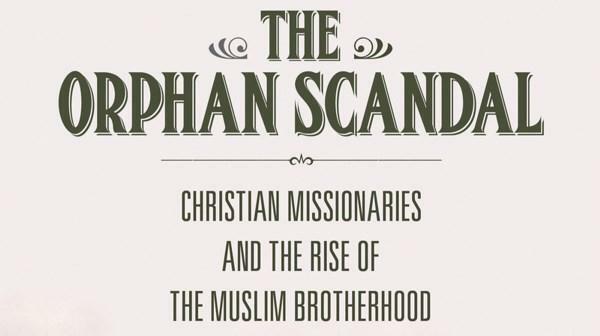 In The Orphan Scandal (Stanford University Press, 2014) City University of New York historian Beth Baron explains how the roots of the Brotherhood’s movement can’t be fully understood without appreciating their earliest opponents, which were not military men or monarchs but instead young, wide-eyed Christian women from Europe and the U.S. The missionaries represented a range of denominations — Catholic, Presbyterian, Pentecostal. Most were Protestant and evangelical, and came from the U.S., a country which at the time seemed refreshingly un-imperial to Egyptians. Baron portrays impassioned women who may have had little opportunity to practice religious leadership at home, and who found a meaningful calling among Egypt’s most vulnerable population: orphans. They fought back. The Brotherhood founded their own schools for boys and girls, they sent out missionaries of their own, and, after a while, it became clear that what the Brotherhood was doing looked an awful lot like what the American Christians were doing. Baron found that this was no coincidence; in a chapter called “Fight Them With Their Own Weapons” she describes how Islamic activists consciously copied their Christian counterparts in style, action, and tone. The missionaries preached near the main streets of villages on market days, so the Brothers set up their own mobile unit and preached in cafes. The missionaries published Bibles, tracts, and magazines, so the Brothers launched their own publishing campaign. “The Muslim Brotherhood learned tactical and strategic lessons from the missionaries they encountered,” Baron writes. They defined themselves in opposition to the missionaries while at the same time learning from their style of religious action. Eventually, the Muslim Brotherhood set up schools of its own, specifically to counteract the influence of missionary education. In the canal cities, members of the new organization went to the families who, because they were so poor, sent their daughters to the missionary schools. They implored them to retrieve these girls and send them instead to Muslim schools. Baron does not dig deep into how this shake-up in authority played out, in part because it was not until decades later that the rise of grassroots activism and worship truly flowered in Egypt, a transition that has been explored deeply by anthropologists like Charles Hirschkind and Saba Mahmood. Now, if you turn on the television in Egypt, you will see popular lay preachers reminiscent of American protestant televangelists. It would be easy to see this as a product of American cultural influence, but Baron shows us that its roots go much further back, to a time before the U.S. played a strong role in the region. Although this is a book geared towards scholars, Baron takes the admirable step of attempting to frame the over-saturated archival detail in a story that that energizes the book’s structure. She does this by focusing on Turkiyya Hasan, a young girl who came to play an invaluable role in the public relations efforts of the early Islamic activists. When Hasan was nine or ten years old, she was dropped off at the Swedish Salaam Mission in Port Said. A matron gave her a doll, some chocolate, and “images of a strange man” (you can guess who). Over the next few years, she was encouraged by teachers to claim this man as her savior. She refused, weathering verbal and even some physical abuse from some of the teachers. The mass outrage spurred led to frustration with the slow, uneven response of state institutions. Egyptian officials under “semi-colonial” British rule clamped down on the press. A group of Catholic nuns in the Delta region were attacked. The government used the incident to crack down further on Muslim activists. A pattern of distrust and sporadic violence between the secular-minded elite and the more religious sectors of the lower and middle classes emerged in a way that starts to look familiar. As we now know, that dynamic would outlive the moment’s particular players. The missionaries would leave, but the newfound religious divides they inspired would stick around. Baron’s argument is worth us keeping in mind because it diverges from the typical narratives about the rise of political Islamism, which often say it’s all about Saudi clerics and the influence they purchased with oil money, or it’s a reaction to secular nationalism, or it’s a reaction to imperialism, or it’s a reaction to American consumerism. Baron tells a part of the story that’s older and more subtle, where consequences were unintended and intentions were good, if naïve. Reading Baron’s book after the Muslim Brotherhood’s brief encounter with real power, you can’t help but feel that the wish of some Egyptians (and plenty of Westerners) to just make the Brotherhood, and political Islam fizzle out — by throwing the whole lot of bearded men in prison — is the most naïve position of all. What you get from Baron is that these political movements evolve organically. They’re born in antagonism, molded by persecution, and emboldened by opposition. They rise and fall, but they don’t just disappear. Maurice Chammah is a staff writer for The Marshall Project based in Austin, Texas. He writes regularly for The Revealer and his work has appeared in The New York Times, The Texas Observer, and elsewhere. As a 2011-12 Fulbright Fellow in Cairo, he studied trends in Egyptian journalism. He plays the violin and has toured with the band Mother Falcon. His website is: http://www.mauricechammah.com.